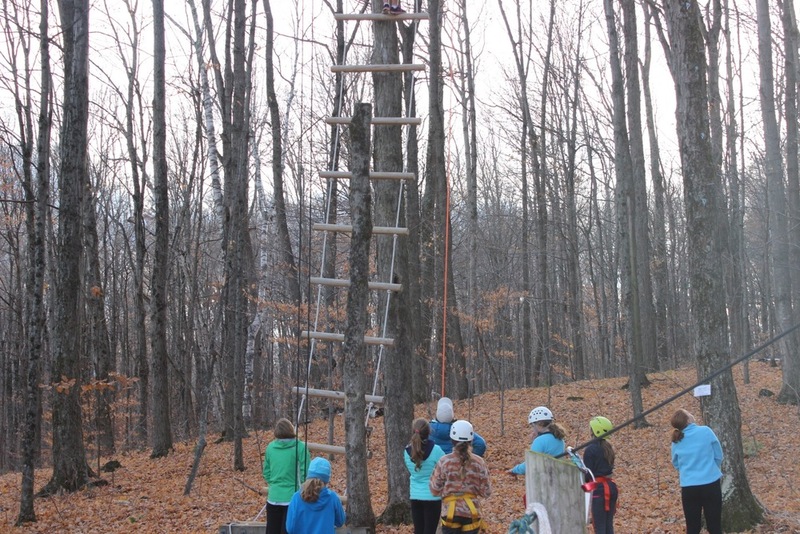 The 5th and 6th grade girls got to experience the high ropes course on Saturday, November 7th. A lot of the girls did the low ropes last year. We had Andrew MacArthur, wellness and physical education teacher at Burr and Burton Academy do an introduction on safety and how the course works. Then we divided into 2 groups and began taking girls through the course. I belayed on one side with a group and Andrew had another group. Girls had different roles throughout the day. There was a ropes specialist, a belayer, secondary, tertiary and a back-up belayer. Girls that were watching were supporting by shouting out encouraging words to the girls that were in the trees. Some girls made it through the whole course. Others were scared and only made it partially up ladders and some were lowered down from some platform. Overall, it was a great day! 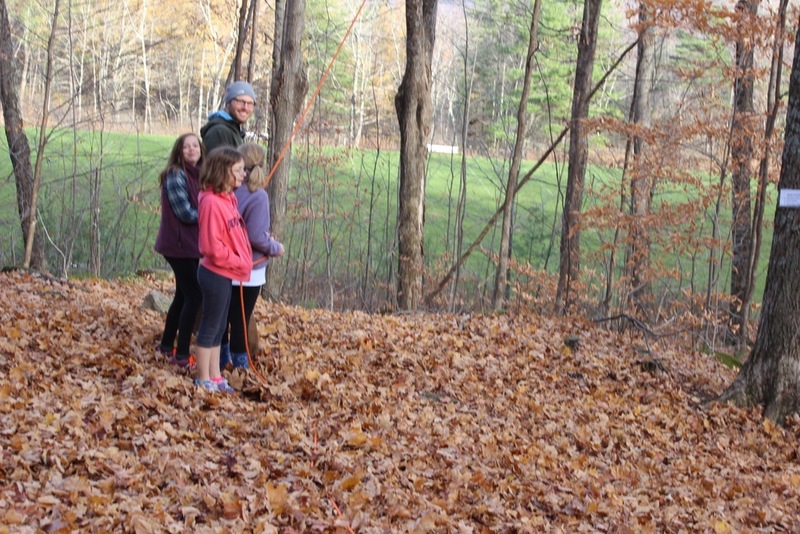 The girls gained confidence after the zip line as they realized the feat that they had accomplished. Our theme would have been about "taking chances" but it was such a busy afternoon that we never had time to sit and talk about it. Please ask your daughter how they did on the course and maybe what were the fears that they had and why. Also, what part of the course was the toughest and how did they do it! Thanks to Carrie Attley and Annabelle Mackson for helping out.